Background/Purpose: ASP5094 is a recombinant humanized anti-alpha-9 integrin IgG1 monoclonal antibody (mAb) under development for the treatment of rheumatoid arthritis. This first-in-human placebo‑controlled single ascending‑dose study was designed to evaluate the safety, tolerability, PK and PD of a single 30 minute intravenous (IV) infusion of ASP5094 at doses ranging from 0.002 to 10 mg/kg in healthy adult subjects. Methods: 7 sequential cohorts consisting of any race (cohorts A to D) and non-Asian (cohorts E to G) received single increasing doses of IV administered ASP5094 or placebo. Serial Cohorts A and B consisted of 6 subjects each (4 active and 2 placebo) while cohorts C to G consisted of 8 subjects each (6 active and 2 placebo). Serial blood samples were collected for PK (ASP5094 and anti-ASP5094) and PD (alpha-9- integrin receptor occupancy (RO)). Results: Following a 30-minute infusion of ASP5094 at doses <0.25 mg/kg most serum ASP5094 concentrations fell below the limit of detection (10 ng/mL). At doses that ranged from 0.25-10 mg/kg, mean maximum ASP5094 serum concentrations (Cmax) increased nonlinearly with dose and ranged from 4742 to 277365 ng/mL. Similarly, mean ASP5094 AUC0-infalso increased nonlinearly from 165,455 to 77,829,650 ng*h/mL with ASP5094 doses ranging from 0.25 to 10 mg/kg. ASP5094 PK exhibited nonlinear target-mediated drug disposition. Alpha-9 receptor occupancy (RO) on neutrophils remained at 100% for periods of 1, 2, 4 and 8 weeks following a single IV administration at doses of 0.25, 1, 3 and 10 mg/kg ASP5094 respectively. A direct response relationship was observed between serum ASP5094 exposure and RO. One subject dosed at 0.25 mg/kg with ASP5094 tested positive for anti-drug antibodies (ADA) on Day 90 and remained positive throughout study. The last study visit was Day 360. Drug-related adverse events (AE) were reported in 16.7% of the 0.25 mg/kg dose cohort; 33.3% of the 1 mg/kg cohort; 50% of the 3 mg/kg cohort; and 16.7% of the 10 mg/kg cohort, with no dose-dependency. There were no clinically significant abnormal ECG findings in this study. Conclusion: Single doses of ASP5094 (≤ 10 mg/kg IV) were safe and well tolerated in healthy subjects (any race and non-Asian). ASP5094 PK exhibited nonlinear target-mediated drug disposition. Based on these results, an additional study to explore the PK, PD and safety of multiple doses of ASP5094 in stable RA patients has been initiated. Disclosure: T. Wang, Astellas Pharma Global Development, Inc., 3; C. Lademacher, Astellas Pharma Global Development, Inc., 3; P. Blahunka, Astellas Pharma Global Development, Inc., 3; C. Howieson, Astellas Pharma Global Development, Inc., 3; T. Yang, Astellas Pharma Global Development, Inc., 3; T. Wojtkowski, Astellas Pharma Global Development, Inc., 3; M. Kikuchi, Astellas Pharma Global Development, Inc., 3; R. Townsend, Astellas Pharma Global Development, Inc., 3. Wang T, Lademacher C, Blahunka P, Howieson C, Yang T, Wojtkowski T, Kikuchi M, Townsend R. Pharmacokinetics (PK), Pharmacodynamics (PD), and Safety of ASP5094, an Anti-Alpha-9-Integrin Monoclonal Antibody, Following Single Intravenous Doses in Healthy Subjects [abstract]. Arthritis Rheumatol. 2016; 68 (suppl 10). 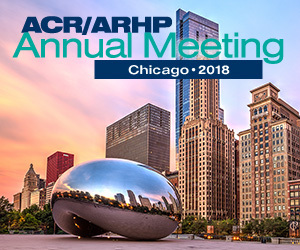 https://acrabstracts.org/abstract/pharmacokinetics-pk-pharmacodynamics-pd-and-safety-of-asp5094-an-anti-alpha-9-integrin-monoclonal-antibody-following-single-intravenous-doses-in-healthy-subjects/. Accessed April 21, 2019.